In addition to all the features of the All Industries Edition, the Financial Services Edition comes with added security measures. Complaints Pro Financial Services Edition supports ASIC RG 165 compliance. 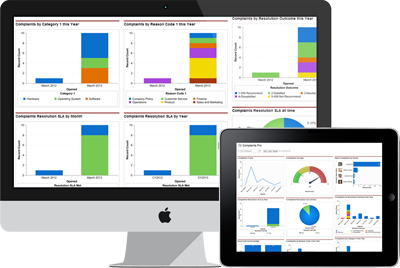 You can enjoy the benefits of ease of use, infinite reporting and dashboards that provide true customer insight. When combined with compliance to ISO 10002, managing complaints professionally and passing any internal or external audits with flying colors just became easy.